The man who created Mario, Zelda, Pikmin, StarFox, and Donkey Kong turns 61 this year, and has to start thinking about what the company will do when he's no longer there. Shigeru Miyamoto, the man who created a large bulk of Nintendo's most popular franchises, is getting old, and his retirement is on the horizon. Some would say that Miyamoto is Nintendo, so the thought of him eventually leaving the company is a very frightening scenario. 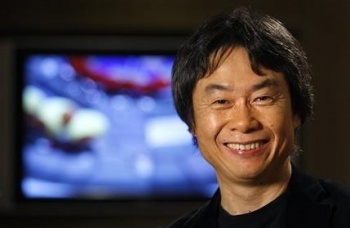 To ease our minds, Miyamoto told Gamespot that he has taken measured steps to prepare the company for his retirement. "This year I'm past 60; I'm going to be turning 61 this year. So for me to not be thinking about retirement would be strange," Miyamoto said, but assures fans that "the number of projects I'm involved in--and the volume of my work--hasn't changed at all." He says that, working on the assumption that the day when he no longer works at Nintendo is drawing near, an initiative to prepare the company for the next generation is now underway. "What I'm doing is pretending like I'm not working on half the projects that I would normally be working on to try to get the younger staff to be more involved." Miyamoto adds that the initiative is more of an adjustment to Nintendo's organizational structure, rather than being directly related to his retirement. "For a long time I've been thinking that we need to try to break [the] structure down so that the individual producers that I'm working with are really taking responsibility for the projects that they're working on," Miyamoto said, telling us that he wants his junior producers to stop constantly looking to him for direction. "And as I like to say, I try to duck out of the way, so that instead of them looking at me, they're looking at the consumer and trying to develop their games with the consumer in mind rather than me in mind. So it's really more of looking at this as sort of an opportunity to really try to help develop them and bring them up." Pikmin 3, due out later this year for the Wii U, will be the next major title produced by Miyamoto. Will it also be his last?